I know it’s that time of year we are all anxiously anticipating the upcoming holidays and craving the wonderful flavors of fall . . . we’ve waited an entire year for the taste of pumpkin, apples. pears, squash, etc., but we just could let October go by without a shout out for National Breast Cancer Awareness Month. So today we are thinking pink! This post is dedicated to our dear friend Kathy who is currently fighting the fight- and to all women everywhere who have and do fight the same battle- our love and support are with you! We know there have been lots of breast cancer awareness opportunities this month, but If you haven’t had a chance to lend your support or would like to learn more, please visit here . Prepare cheesecake batter by mixing cream cheese with electric mixer until smooth. Combine the flour with the sugar and add to the cream cheese. Add peppermint extract and eggs and mix until just combined. Stir in a few drops of food coloring until you reach the desired shade of pink. Set batter aside. Prepare brownie batter by combining the flour, cocoa and salt in a bowl and whisk until chocolate is broken up and ingredients are well combined. In mixer, beat sugar, oil and buttermilk until smooth. Add eggs until combined. Turn mixer to low and stir in dry ingredients until just blended. Reserve 1 cup brownie batter. Pour remaining batter into a well-sprayed 13×9 inch pan. Carefully spoon cheesecake batter over top and spread evenly to the edges. Dot cheesecake batter with the reserved brownie batter. 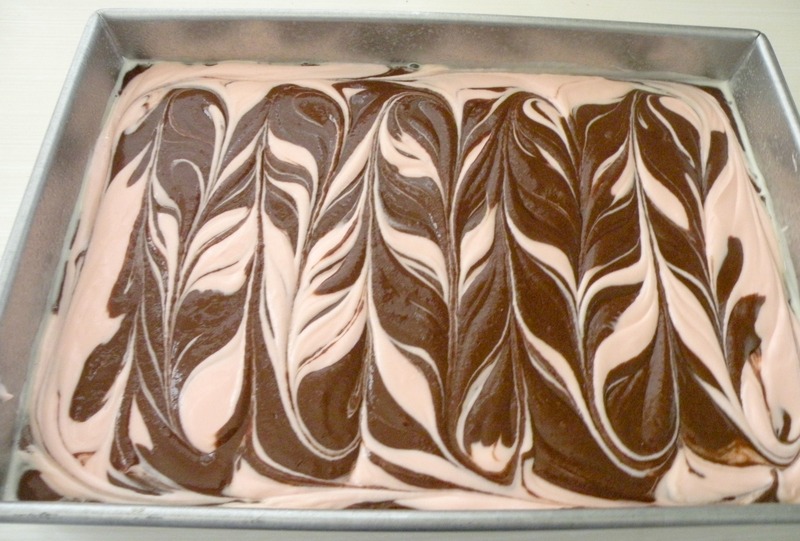 Swirl top two layers together using the tip of a knife- do not mix down into the brownie batter below. Bake at 350 for 30-35 minutes or until top is set. Cool completely in pan on a wire rack before serving. Awesome looking brownies, I have got to try your recipe, thanks. These are awesome! This is perfect for a Breast Cancer Awareness/survivors party! Thanks for posting!! Seriously? I Love chocolate and peppermint! Add some pink…awesome! Wonderful cause and wonderful brownies!!!! 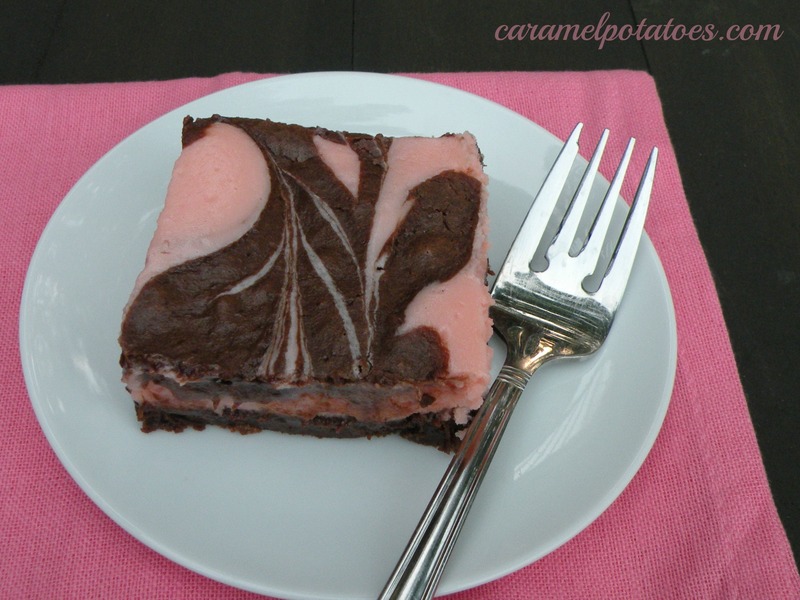 Love peppermint this time of year and I really like the pink cheesecake and chocolate brownie together! Gosh I so want a bite of them right now! What a wonderful way to raise awareness. I hope your friend gets better and you bake her lots of brownies! These look great, and combine two of my fab desserts!